A sure way to get your kids to eat Spinach! Does the word Spinach bring about that horrified “yucky look” on the faces of your children, or a sudden attack of stomach ache? Well, one of the tactics I use to get them to eat spinach is to bake a Quiche (pronounced “keesh”). The origins of Quiche lie in the Lorraine region of France and the word Quiche was adapted from the German word Kuchen which is cake in German. 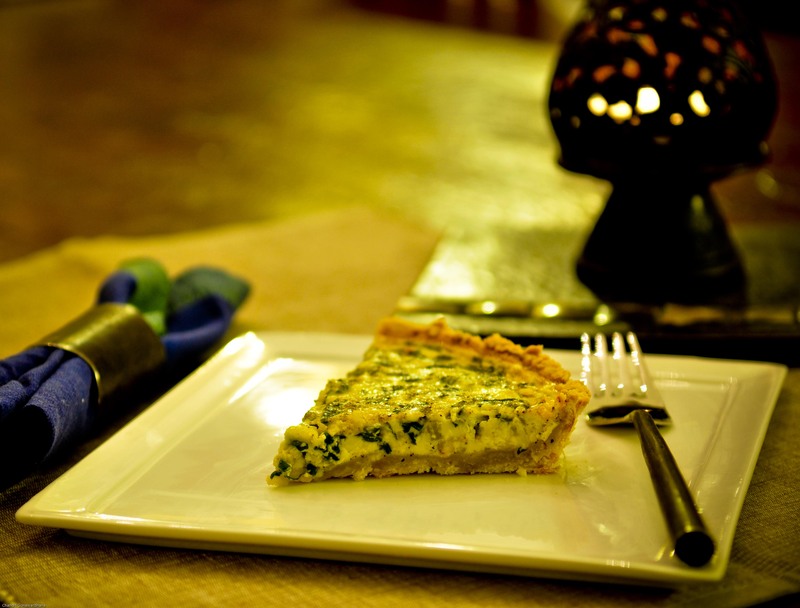 Quiche is an open pie with a filling consisting of egg, milk or cream, and Swiss cheese such as Gruyere or Emmental. Originally bread dough was used for the crust, but now a short crust or puff pastry is used. The pastry is blind baked and once it is taken out of the oven, ingredients such as cooked chopped meat, seafood, cheese, vegetables, ham, bacon, etc are added to the egg mixture and baked. I have served quiche to my guests at a couple of sit down dinners as well as at casual meals with family, and the reviews have been very positive. Therefore, I bake a quiche at least once a fortnight. Although quiches are usually open pies, at times however, it may include toppings such as mushrooms, tomato slices, or pastry cuts-offs, for a decorative finish. For my children, the pizza-looking open pie works well, and the spinach somehow gets consumed! Ta-da! Picnic tip: Quiche, green salad, bread sticks and a bottle of Chardonnay.